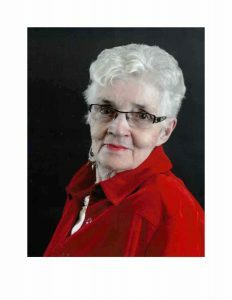 Elva Beth Taylor (Barrons) of Saskatoon, May 24, 1937, beloved wife of David Charles Taylor, passed away peacefully in Saskatoon on Thursday, March 14th, 2019 at the age of 81 years. Elva was predeceased by daughter Cindy Copeland, son in law Roy Yorgason, parents Joseph & Ruby and brother Mervyn. She is survived by husband David, daughters Donita, Lori, Kim, son Trent, sister Audrey and extended families. Elva was born in Swift Current, SK. and raised in Neville, SK where she met and married David Taylor, June 30, 1956. The couple relocated to Saskatoon where they continued to reside, raising their family of five and enjoyed being grandparents. Elva had various positions outside the family home. She excelled as a Tupperware Manager winning many sales awards. She (and David) were also charter members of the Rambling Rovers Trailer Club and spent many summers travelling and camping with club members. Elva’s focus and dedication to baton twirling and the SBTA led to induction to Saskatoon Sports Hall of Fame, 2015, Builder for Baton Twirling. Family expresses thanks to various staff as she journeyed through levels of required care. Cremation, Service at a future date. Dear Dave and family, I was shocked and saddened to hear of Elva’s passing. I am sorry not to have had the chance to visit with her when seeing Moms before we left for the winter. Diane (Hunt) Cyca and family. Dorothy called me this morning. Our thoughts are with you. I have wonderful memories of Elva when I was young. She was a true “Hall of Famer”. Dear David & family, My condolences on your loss. As a person new to Baton Twirling Elva always had a story for me about the history of baton twirling. Baton Twirling in Sask & Canada has lots to thank Elva for her many hours contributing to its growth and success. We were very sorry to hear of Elva’s passing. Our many years as neighbours leave us with great memories. Our boys pass on their condolences as well. Our thoughts are with you. My sincere and heartfelt condolences. Your mom was an actual force of nature, second only to you in that regard! May your memories bring you some comfort now. it was sad news that my sister Tracy shared with me about the passing of your mom Elva. I remember her very fondly as a passionate advocate for baton twirling and was incredibly supportive of me in my role many years ago as CBTF Technical Chair. Elva will be greatly missed by everyone in CBTF and SBTF ! I was sad to hear the passing of Elva – my condolences and prayers to everyone. Elva and I worked together for many years through SBTA and CBTF – she was a wonderful feisty personality that worked hard, along with others to have baton recognized as a sport. I appreciated her friendship and the time she took to mentor me during my volunteer years. She will be greatly missed and always remembered. On behalf of the Sundown Optimist Buffalo Gals Baton Twirling Club, please accept our sincere condolences on Elva’s passing. Elva’s contributions to baton twirling in Saskatchewan were extensive. Her tireless efforts have benefitted generations of twirlers. We sincerely appreciated her dedication to the sport. She will be missed by many. Gary and I offer our heartfelt condolences to you, Dave and to you family. We are so sorry to hear that your beloved Elva has passed and didn’t know that she had been ill for some time. Hopefully when we get home from Mexico next week, we can have you over for coffee. Big hugs from both of us. Dave and family. Elva will be so missed by family and friends. Zane and I extend our deepest sympathy to you and your family.